Young Politicians & Leaders Network-Global announces management Appointments in Ghana. 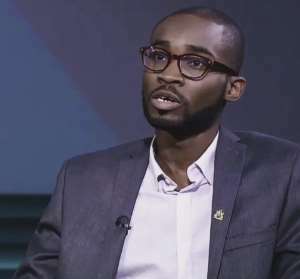 The Chief Executive of the Young Politicians & Leaders Network-Global in an effort to achieve its mission has made strategic appointments to its leadership team in Ghana. All management members come on board with extensive direction relevant to the operations of Young Politicians & Leaders Network. Patrick Bondzi Fynn has been appointed as the Programmes Director in charge of Young Africans Leaders’ Summit. Eugene Dsane-Laryea has been appointed as the Media & Publicity Co-Director. Young Politicians & Leaders Network accepted over 100 applications within a month of advertising for above positions and 38 were shortlisted to be interviewed. Young Politicians & Leaders Network is a certified Social Enterprise in UK by Social Enterprise UK. Young Politicians & Leaders Network is NOT a political organization and it is not affiliated to any political party. Young people are usually marginalized in the national political process because of their age, limited opportunities, and lack of experience and as such this network seeks to bridge the gap and help the youth to become good political leaders. We seek to be the world’s leading network that trains, mentors and prepares young leaders for politics, diplomacy and entrepreneurship. One of the major challenges facing the youth in Africa is unemployment. The Young Politicians & Leaders Network believes that in helping solve this huge challenge, inculcating the culture of entrepreneurship, providing the needed support, training, mentorship and facilitation will greatly help in solving the huge unemployment problem on the continent. This, YPLN will do through its flagship programme called, KickStart Entrepreneurship Challenge. YPLN aims to become a worldwide network of young politicians and leaders. Kindly visit our website; www.yplnetwork.com/executive-leadership-team/ for full bio.